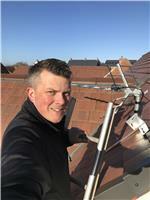 All Digital TV - Telecommunications, TV Aerials/Satellite Services based in Winnersh, Berkshire. I provide a friendly, reliable service specialising in Digital Aerial, Satellite, Telephone, CAT 5E / CAT 6 network solutions and entertainment systems. DISCOUNT AVAILABLE - when you mention Checkatrade.